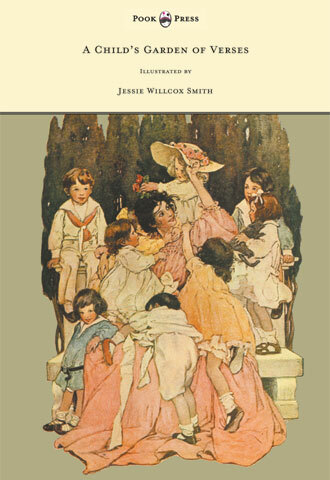 Jessie Willcox Smith was one of the most prominent female illustrators in the United States, during the famed ‘Golden Age of Illustration‘. Smith was born in the Mount Airy neighbourhood of Philadelphia, Pennsylvania, U.S.A, in 1863. She was the youngest girl born to Charles Henry Smith, an investment broker, and Katherine DeWitt Willcox Smith. Jessie attended private elementary schools and at the age of sixteen was sent to Cincinnati, Ohio. Here, she lived with her cousins and finished her education. She trained to be a teacher and taught kindergarten in 1883. Smith found the physical demands of working with children too strenuous for her however. She struggled with back problems for most of her life, and had difficulty bending down to the children’s level. Persuaded by a friend to attend some local art classes, Smith soon realised she had an incredible talent for drawing. In 1884, Smith attended the ‘Philadelphia School of Design for Women’. (Now ‘Moore College of Art and Design’). In 1885, she attended the ‘Pennsylvania Academy of the Fine Arts’ in Philadelphia. She studied under Thomas Eakins and Thomas Anshute’s supervision. It was under Eakins that Smith began to use photography as a resource in her illustrations. In May 1888, Smith’s illustration Three Little Maidens All in a Row was published in the St. Nicholas Magazine. She was still studying at the Pennsylvania Academy. Illustration was one of the few professional avenues that women could employ to make a living as an artist at the time. In late-nineteenth century America, illustration was an appropriate career for women. Creating illustrations for children’s books, or of family life, supposedly drew upon maternal instincts. Fine art that included life drawing was not considered ladylike. 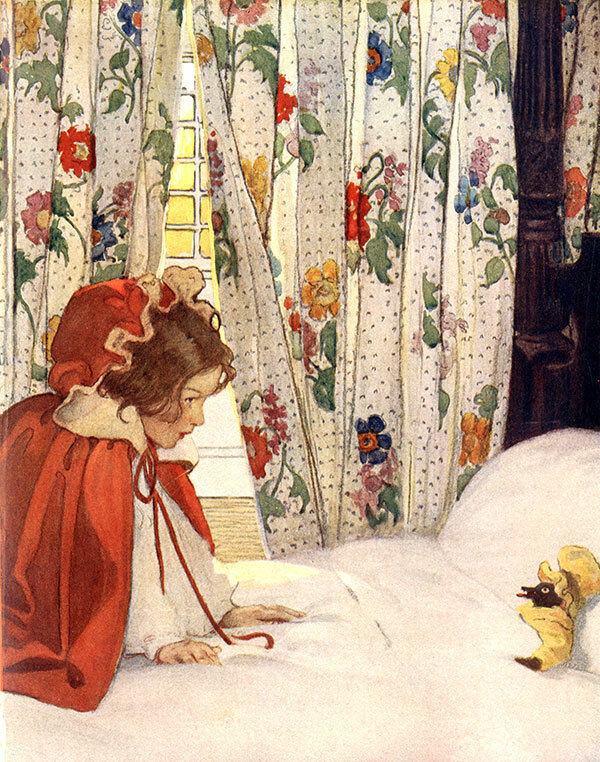 The Princess and the Goblin, Jessie Willcox Smith, 1920. 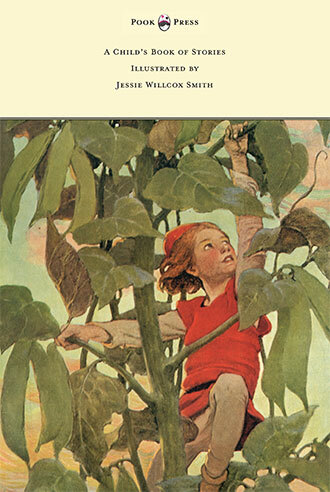 The Now-A-Days Fairy Book, Jessie Willcox Smith, 1922. 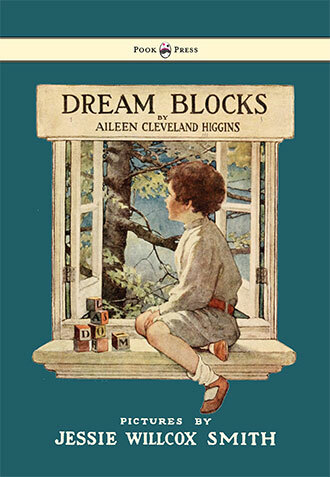 Boys and Girls of Bookland, Jessie Willcox Smith, 1923. Smith graduated in June 1888. She joined the first magazine for women, the Ladies’ Home Journal the same year. She had an entry-level position in the advertising department finishing rough sketches. She also designed borders and prepared advertising art for the magazine. 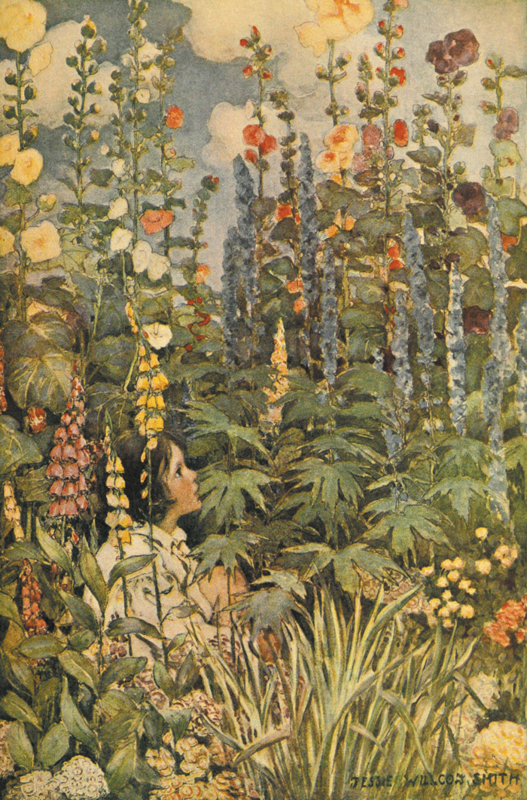 During her time at the Ladies’ Home Journal, Smith enrolled in Saturday classes at Drexel University with Howard Pyle. She was in his first class at Drexel, which had almost 50% female students. Pyle pushed many artists of Smith’s generation to fight for their right to illustrate for the major publishing houses of the time. Smith said that working with Pyle swept away ‘all the cobwebs and confusions that so beset the path of the art-student.’ She stayed in his tuition until 1897. Smith met Elizabeth Shippen Green and Violet Oakley while studying at Drexel. The women shared talent, mutual interests, and lifelong friendship. Henry Wadsworth Longfellow’s Evangeline, illustrated by Oakley and Smith, was published in 1897. At the turn of the twentieth century, Smith’s career flourished. She illustrated a number of books, magazines, and created an advertisement for Ivory soap. Her works were published in Scribner’s, Harper’s Bazaar, Harper’s Weekly, and St. Nicholas Magazine. Green, Smith, and Oakley became known as ‘The Red Rose Girls.’ This nickname referenced the Red Rose Inn in Villanova, Pennsylvania, where they lived and worked together for four years – beginning in the early 1900s. In the late-nineteenth century and early-twentieth century, about 88% of the subscribers of 11,000 American magazines and periodicals were women. As more women entered the artistic community, publishers hired women to create illustrations. These artworks generally depicted the world through women’s perspectives. 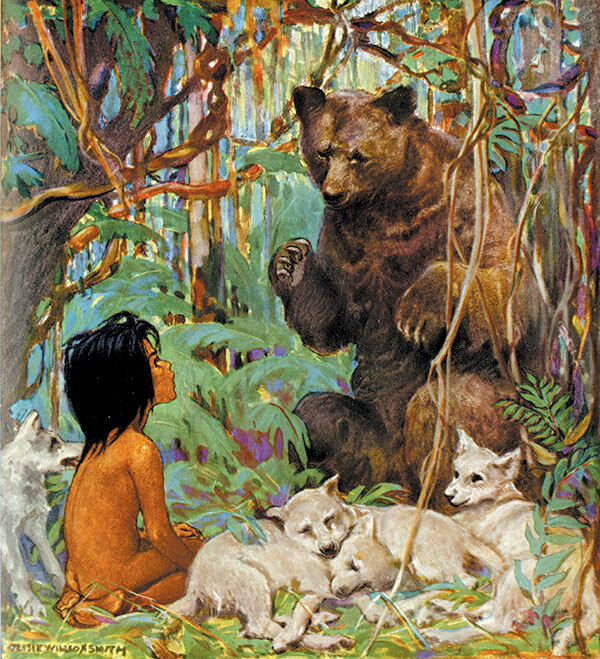 Smith most often created illustrations for covers and stories, and also illustrated advertisements (in the form of posters), which bore her signature. She was a member of Philadelphia’s ‘The Plastic Club’ (founded 1897), an organization established to promote ‘Art for art’s sake’. Other members included Elenore Abbott, Violet Oakley, and Elizabeth Shippen Green. 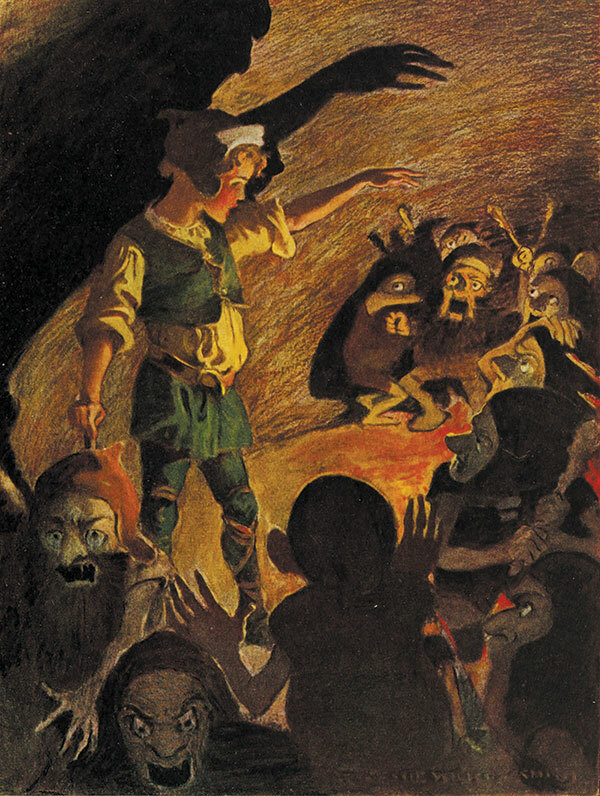 Most members had been students of Howard Pyle. 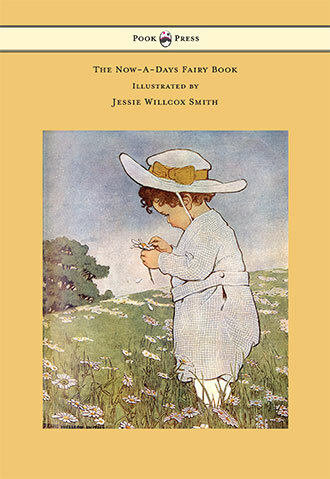 In 1905, Smith produced some of her best-known and most-loved illustrations, for A Child’s Garden of Verses. This was written by the famed Robert Louis Stevenson. According to an article printed by The New York Times in 1910, Smith made $12,000 per year. Like Norman Rockwell and J. C. Leyendecker, she became as popular as a new ‘media star’. In 1911, both of Smith’s parents died, and her artistic companions were unable to continue their practice. Green was married, and Oakley started new projects. Consequently, she had a sixteen room house and studio build that she called ‘Cogshill’. It was situated near Cogslea, Philadelphia. This was Smith’s final home. Over the next few years Smith continued to create illustrations for magazines. 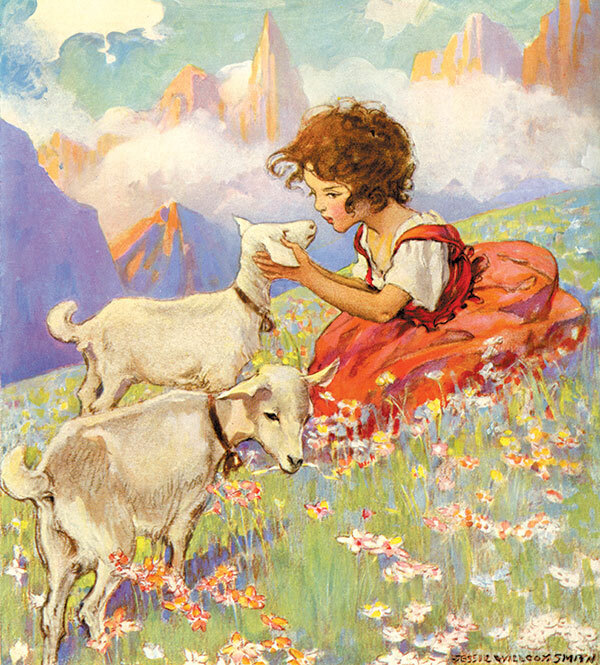 These included a series of Mother Goose illustrations printed in Good Housekeeping. They were made in black and white until mid-1914, when they were printed in colour. 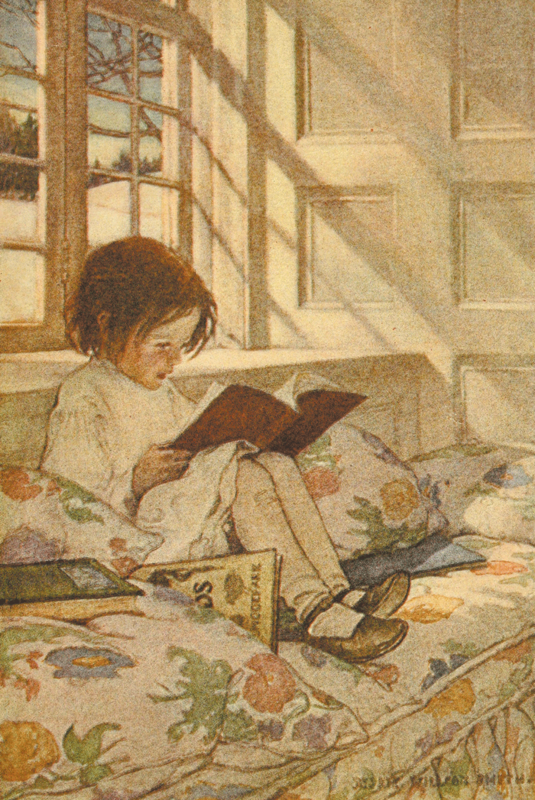 Her illustrations were reproduced in the book The Jessie Willcox Smith Mother Goose by ‘Dodd, Mead, and Company’. In 1915, Smith finished one of her most celebrated works: Charles Kingsley’s The Water-Babies. She graced every printed cover of Good Housekeeping from December 1917 through April 1933. This made her the artist with the longest run of illustrated magazine covers. Smith’s style changed drastically throughout her life. In the beginning of her career, she used dark lined borders to delineate brightly coloured objects and people. This was done in a style described as ‘Japanesque’. In later works she softened the lines and colours until they almost disappeared. Smith worked in mixed media. She used oil-paint, watercolour, pastels, gouache, charcoal – whatever she felt gave her desired effect. She often overlaid oils on charcoal, on a paper whose grain or texture added an important element to the work. Her use of colour was influenced by the French impressionist painters. Never a travel enthusiast, Smith finally agreed to tour Europe in 1933. She travelled with Isabel Crowder, who was Henrietta Cozens’ niece. During the trip, Smith’s health started failing, and she died at the age of seventy-one. She passed-away in her house at Cogshill on 3rd May 1935. In 1936, the ‘Pennsylvania Academy of the Fine Arts’ held a memorial retrospective exhibition of her works. In 1991, Smith was the second woman to be inducted into ‘The Hall of Fame’ of the ‘Society of Illustrators’. Of the small group of women inductees, three of them were members of ‘The Red Rose Girls’. These were Jessie Willcox Smith, Elizabeth Shippen Green (1994) and Violet Oakley (1996).